Description: Of course I want to be like them. They’re beautiful as blades forged in some divine fire. They will live forever. When it comes to fae YA novels, these tend to be an auto-buy for me. However, not everyone can capture the true fae characteristics that make them cunning and devious. 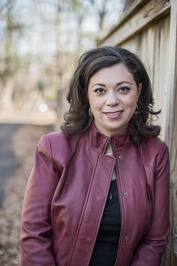 Holly Black has held true to the fae identity and crafted a dark enchanting fae novel that will leave you wanting more. 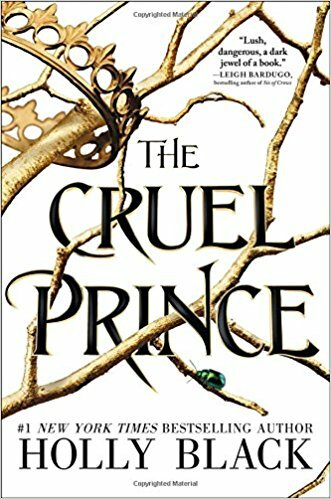 The thing I enjoyed most about Cruel Prince was the story. The fae felt real and terrifying. This book awakens the sense that a mortal would not want to stumble across the fae courts. This novel invoked all the elements that captivate mortals but brought them into a new light. Anytime soon if they had any senses. The storyline was paced at a good speed, I felt like I got a lot of this book without scenes feeling rushed. It had enough action and trickery to keep any reader on their twos. A lot of elements kept me guessing, things would happen that would come out of nowhere, but then make complete sense after. This story felt new, and concepts added were intriguing. This book is meant to be the first in a trilogy and thought the ending leaves you wanting more, it wraps up this segment of the tale nicely. The characters were as well crafted as the storyline. Each one leaving the reader with more and more surprises. In this particular read, I don't think I could pick a favorite character. Each held a place in the story in order for everything to go accordingly. Th fae’s in this novel were cunning, cruel, and did not particularly like mortals. However, each faerie became increasingly appealing as the story went on. The ones meant to play the villain were magnificent and every stake felt real. The ones playing the hero got a little sidetracked, but that’s what made this story so good. Readers will love getting a glimpse into the six royal heirs, as they showcase their courts and talents. I loved the main character because she was not perfect. She was flawed and had about a million different things to consider whenever she had to make a move. She was mortal which meant that she had to think carefully about everything around her, as faeries for out to get her. Jude had an interesting self-discovery path as the story went on. It wasn’t a focus, but Jude from the start of the book morphed into something different by the end. Some may like her change, others may not. Readers will be curious as to what sacrifices her character will have to make in book two. One of my major concerns in the text is that there was an unnecessary suicide. It did not further the plot in any way, as the character was already heading down the path before this event. This was my only concern with the book. Overall, this book was brilliant from start to finish with captivating elements that will leave readers wanting more. I would highly recommend this book to fae enthusiasts and anyone would enjoy a dark read from time to time. 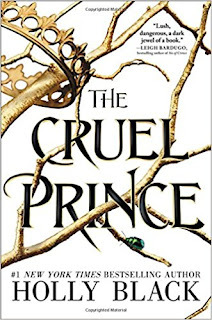 To all Holly Black fans out there, the queen of faeries has created another enchanting read and I highly recommend picking it up. Have you enjoyed this book? Have you read this book? I've wanted to read this book ever since I heard about it. It's on my TBR list still, but I really need to read it! It sounds amazing! Great review!